Temporary relief of pain, inflammation, swelling & joint stiffness associated with arthritis. Symptomatic relief & help in the management of eczema, psoriasis & dermatitis. Supports/maintains the health of the cardiovascular system. Aids in the maintenance or improvement of general wellbeing. Adults: Adults, take 1 to 2 capsules three times daily, with meals, or as directed by your healthcare professional. For arthritis, eczema, dermatitis and psoriasis, take 3 capsules 3 times daily. Aids, assists or helps in the maintenance or improvement of general well-being.May assist in the management of eczema. For the symptomatic relief of dry skin, dermatitis & psoriasis. May assist in the management of dry skin, dermatitis & psoriasis. Temporary relief of the pain of rheumatism & rheumatoid arthritis & arthritis. May help reduce joint swelling & inflammation associated with arthritis. 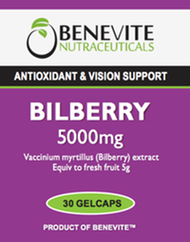 Supports healthy eye function & the health of the eyes. Supports & maintains the health of the cardiovascular system. Omega 3 fatty acids are important for cardiovascular health. Maintains the health of the heart. Maintains normal healthy brain function. Helps to maintain healthy cognitive function. May help maintain healthy and/or normal cholesterol levels in healthy people. May help to maintain cholesterol levels within the normal and/or healthy range and improve HDL:LDL ratio in healthy people. Maintains normal healthy nervous system. 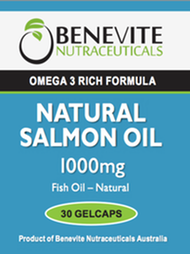 A natural source of marine omega 3 fatty acids. Omega 3 fatty acids are very important as the body cannot produce them and they can therefore only obtain them from the diet. Assists in maintaining joint mobility.